A few inches more and I would have to use both hands. A smaller size would hardly be a delight to my not so perfect eyesight. 7-inch then, for many people, is just the right size for a portable e-book device, even if Apple's CEO Steve Jobs thinks that "7-inch tablets are tweeners: too big to compete with a smartphone and too small to compete with the iPad". Recently, some of my friends have been unknowingly sending strange emails from their Yahoo accounts. The emails, which contain a link to a suspicious website, are being sent to all email addresses registered in their contact lists. Two of our client companies have reported a problem regarding the financial software that we are providing them. We had not been able to reproduce the problem in any of the computers in our company so we had a hard time fixing it. It was not until after 3 weeks and lots of coffee and tea, that we were able to finally solve it. The culprit? Microsoft's design of the new Ribbon interface in Microsoft Office Word. That everything we see now shall sooner or later perish is a fact that theists and non-theists alike can both agree with. The bible teaches that "things that can be seen are temporary". Scientists teach essentially the same. The cosmological theory that is currently held by the majority of the scientific community is that of a universe expanding at an accelerated pace. Once the universe reach maximum entropy, all usable energy will be lost as stars burn out for all eternity. When the mouse is away, the cats will play? No, because it's the mice that play when the cat is away, not the other way around. Besides, I'm not talking about small mammals called mice. Rather, I'm talking about the pointing device that revolutionized human-computer interaction. So what should you do when the mouse stops working and seems to have gone "away" from your system? Easy, just use the keyboard. Read more about When the mouse is away, the cats will play? 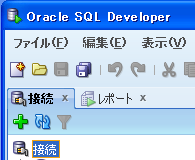 Do you want to use Oracle SQL Developer in English but you’re running Japanese Windows OS? Here’s what you need to do to make Oracle SQL Developer display English texts in menus.